Poker tournaments are about more than cards or winning. It’s also about the thrill and anticipation of the day. Preparing for the event is an essential part of poker tournament strategy and poker tournament tactics. The first step is to condition your mind and body for the upcoming event. The second is step is to have the right mindset and poker tournament strategies in place. With any event, success can come down to being prepared and being in the best condition possible. Poker tournament success relies on mental and physical endurance. These five tips will ensure you are in peak mental and physical condition for your next poker tournament. Take time to enjoy the process and preparation as well as the event. Making these tips part of your routine help you achieve success at the tables. One important thing to keep in mind when preparing for tournaments is endurance. These events last a long time and how well you keep up is essential to success and enjoyment. Get plenty of rest. Getting sufficient rest before the big day will keep your mind and instincts sharp. Eat healthy foods that will improve focus and concentration, such as avocados, dark chocolate, blueberries and oily fish. Avoid heavy meals right before the tournament and instead opt for light nutrient rich foods. Stay well hydrated. A well-hydrated body will ensure you are running at the optimum condition for long periods. Avoid alcohol, but indulge in moderate amounts of caffeine to hone focus and increase concentration. Light exercise and fresh air will also help improve your endurance and sharpen your mind. Stretching, yoga practice, and meditation will focus the mind and increase blood flow that also aids mental acuity and endurance. These activities will also reduce stress and anxiety levels. Stay mentally limber with practice rounds with friends that challenge you or get in on some online games. 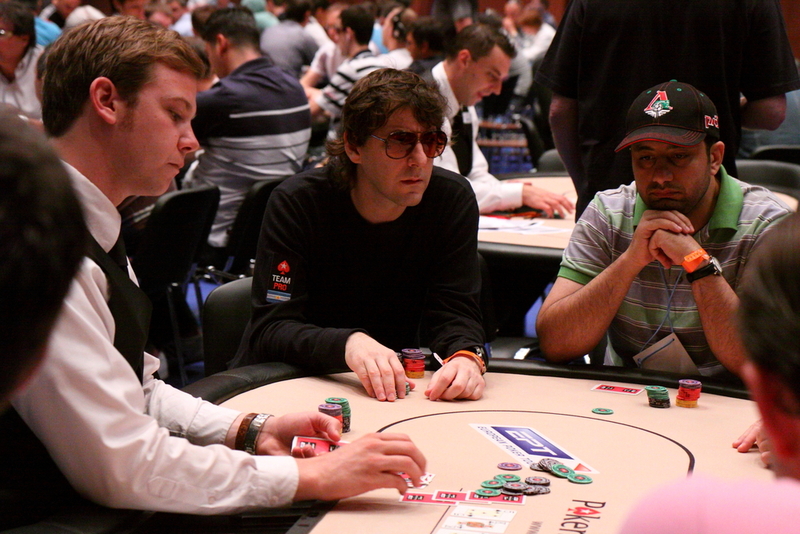 Watching and studying other players can also give you an advantage at the tables. Consider working on puzzles such as sudoku, crosswords, and brain teasers. These type of activities are great brain calisthenics for optimising your mental agility and stamina. With the poker tournament fast approaching don’t give into doubt. Stay confident about your abilities. This event is what you’ve been training for, and you are ready. Focus on your strengths and achievements and don’t forget to visualise success. Poker tournament day has arrived. You are sharp, limber, and ready to go the long game. These five poker tournament tactics will help you stay focused and confident throughout the event. To establish and maintain confidence stick to your style early on in the poker tournament and gain momentum. Whether you are a conservative math-oriented player or more of a loose aggressive player, there will be time throughout the poker tournament to mix it up. To start with, stick with what you’re a comfortable with and allow your confidence to build up slowly. Pick your spots according to how you are stacked. If you are short-stacked play conservatively. Remember one of your most important goals is to remain in the game as long as possible. If you are big-stacked, it is time to play on the offensive and attack. Not only are you gaining traction you are also getting rid of competition. Endurance, poker tournament strategy and tactics are all essential to making it through to the final table of the tournament. Play to win. Sometimes this requires protecting the chips you have by playing for survival, and other times this means being aggressive and eliminating the competition. Each opponent will have a set of tactics, strategies, and styles. Pay attention and find the patterns to their playing this will give you the advantage of knowing how to play against their poker tournament tactics, find weaknesses, and exploit them. Whatever happens, remain calm and confident. If you still have chips, then you are still in with a chance at winning. Mental toughness is the at the core of endurance and success.